#spon: I'm required to disclose a relationship between our site and Save-A-Lot. This could include Save-A-Lot providing us w/content, product, access or other forms of payment. As you likely know, it can be a bit rough on the pocketbook to host a great get-together. Food alone can be so expensive! We have to deal with this every. single. day. A family of 10 can be expensive to feed! We've been very thankful for Save-A-Lot. Whether you are hosting a party, or have a big family yourself, or just need some great go-to snacks for the school year, you can expect to find some great deals at Save-A-Lot. We ventured out to visit our local Save-A-Lot recently to pick up something for the crock-pot. Cocktail links smothered in barbecue sauce sounded like the perfect crock-pot party pleaser! 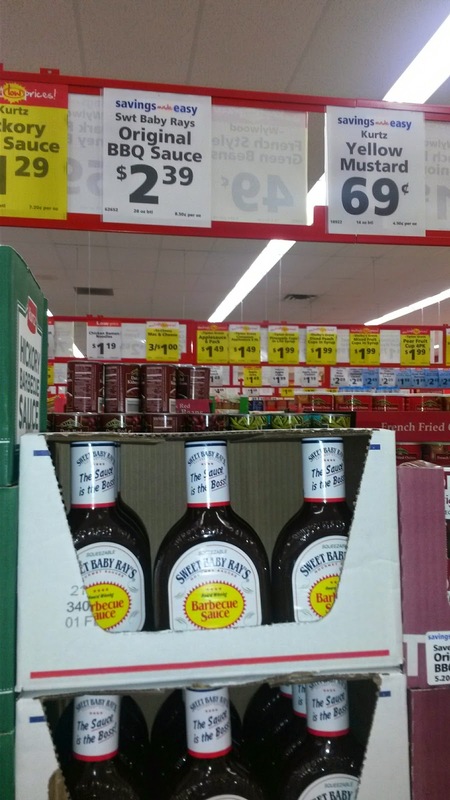 My family's favorite barbecue sauce is Sweet Baby Ray's, so I always look for a great deal and I was very glad to see it on Save-A-Lot's shelves! Perfect! One of my favorite things about this is how quick these are. 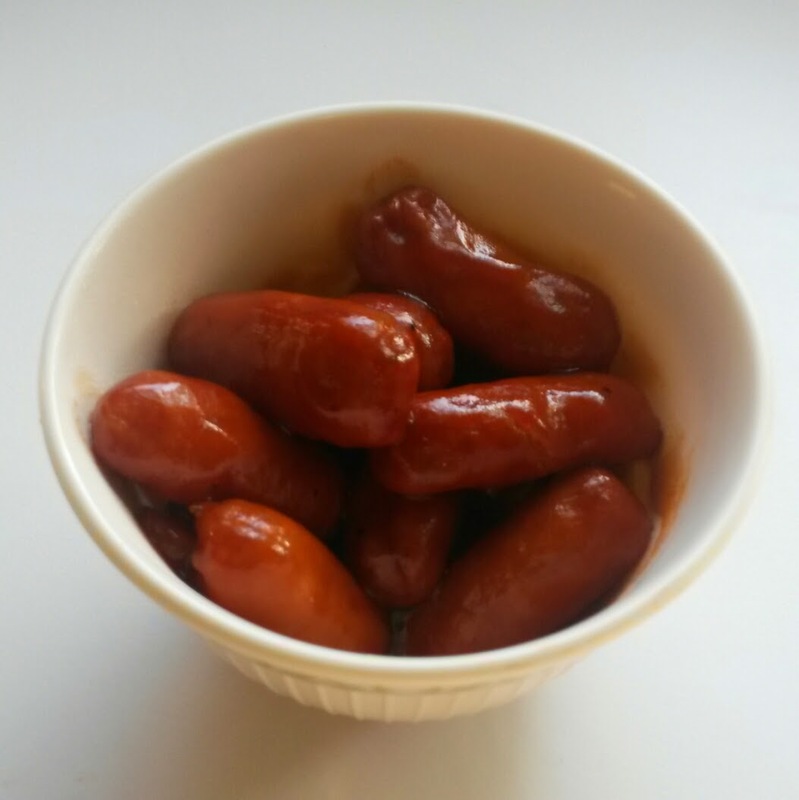 If you need it quick, you can easily heat it up in a pan on the stovetop, and transfer them to a crockpot to keep them at temp. Plus, you can't beat the price. 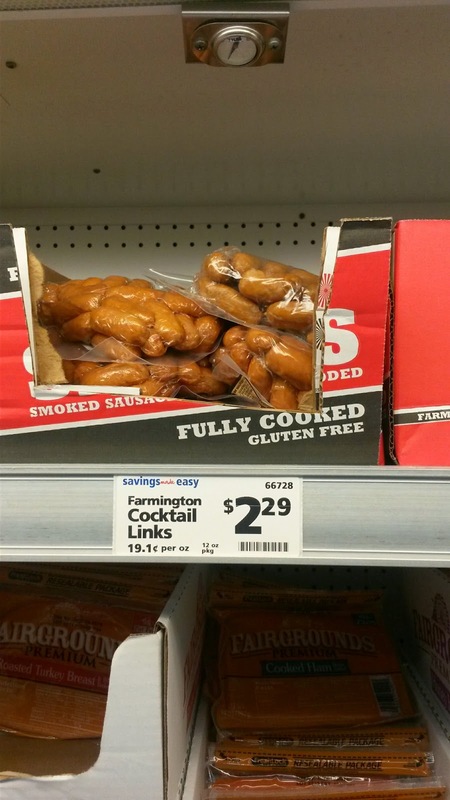 I purchased two packs of cocktail links, and one bottle of barbecue sauce. So, for just under $7 I was able to have a great little snack for everyone! During my trip we picked up some hamburger as well- I don't know what prices are like in your area, but in most stores I am paying about $5 per pound of ground beef. I can usually get ground beef from Save-A-Lot for around $3 a pound. That's a huge savings! 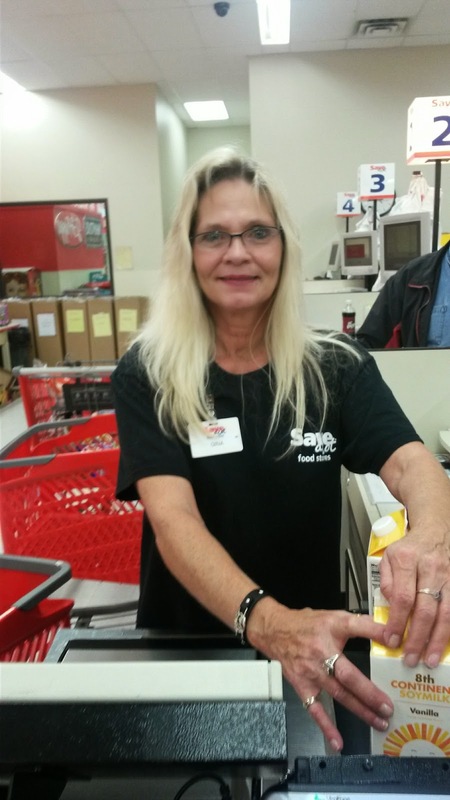 Whether tailgating, or making sure the kids have a great snack, you can count on Save-A-Lot saving you money on your grocery bills... letting you stretch your hard earned cash a little more. Those BBQ Cocktail Links look yummy! I'd love to shop at a Save A Lot, these prices look awesome! !